In this cataloged will help you in finding an apartment to rent in any district Hanoi easier, faster and more efficient. 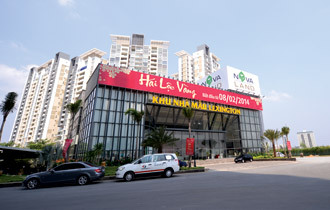 This page offer a large variety of apartment and serviced apartment rental options to fit your needs, including numerous apartment at any building in all over Hanoi (at any District :Tay Ho "West Lake", Villa and Apartment for rent at Ciputra Hanoi, Hoan Kiem, Hai Ba Trung, Ba Dinh, Cau Giay, Thanh Xuan, My Dinh etc.) These include both cheap and high rate residences for the business man, diplomat and traveler alike. If you are looking for an serviced apartment in Tay Ho District Hanoi with Furnished, services, daily maid service and other facilities (such as: West Lake View, a gym, Pool, garage, 2-3 times main service per week, water, Wifi internet, cable TV and a 24-hour security), We are very knowledgeable about Apartment leasing at Tay Ho, tell us your needs, we will select your right home in a shortest time with competitive price to fit your budget. 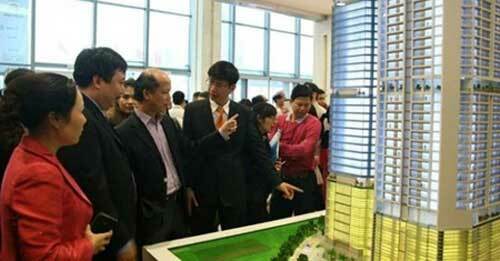 Ciputra Hanoi includes 09 buiding complex with a thousands Executive apartments and pent-houses for rent and sale. 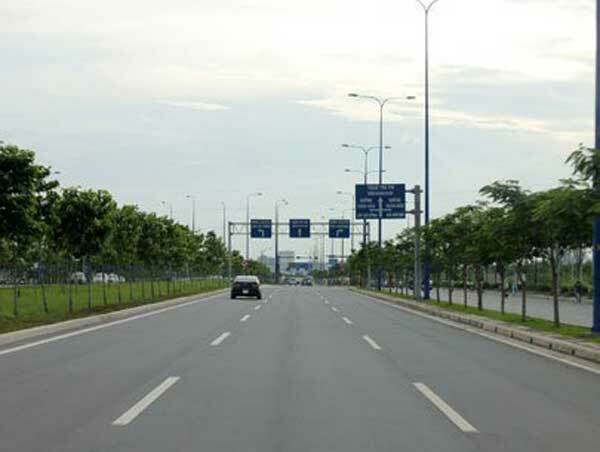 The Apartments for rent in Ciputra Hanoi are provided the best infrastructures including electricity, clean water supply system, wide road and open neighborhood landscape. All the modern facilities and services makethe Ciputra Executive Apartment be a most expected home for those who are so busy to enjoy the usual daily lifestyle. If you are looking for an apartment to rent in Ba Dinh District - Hanoi, Just tell us the most important criteria in choosing apartments such as: best location, number of bedrooms and others, We will select a number of suitable one for your visiting to saving you time and money, You will find ideal apartment that fit your needs in a day. The state has offered credit packages for the local real estate market and will amend more regulations and policies to promote further recovery in the local market, noted experts. 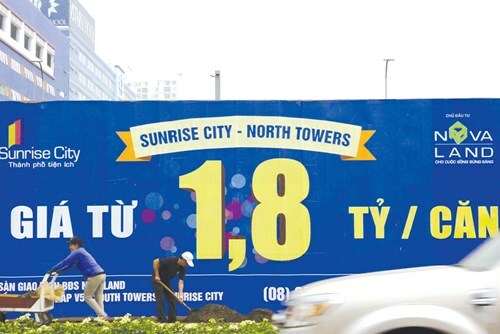 Real estate developers from Hanoi and HCM City once flocked to Da Nang to seek opportunities in the market that promised to glitter like gold, especially in the luxury-hotel segment. Although the property market has been in a slump for years, some big investors have never been idle and have continued to seek attractive projects. 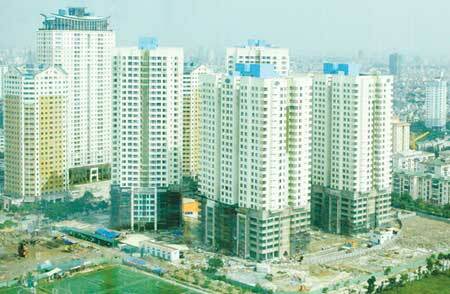 The real estate market, it appears, has been given a new lease of life. Market liquidity has improved significantly, with reduced inventory and increased sales. 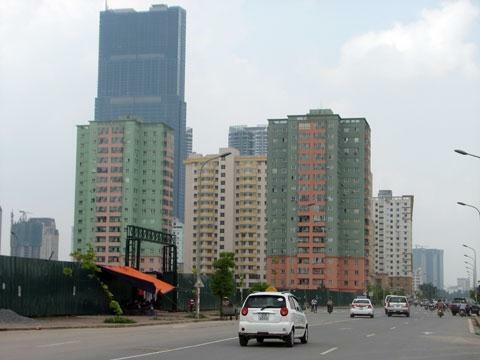 Members of the National Assembly Standing Committee on Tuesday called for the tightening of real-estate brokerage services as part of the draft Law on Real Estate Trading. While the Ministry of Construction (MOC) has said that the real estate market has warmed up, reports from market survey companies show that supply is still far higher than demand. 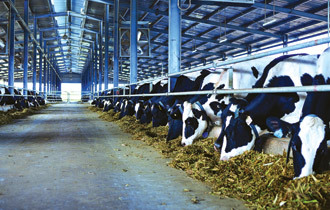 Vietnamese businessmen, who have earned high profits with their finance and real estate investment deals, are now rushing to pour money into agriculture projects. 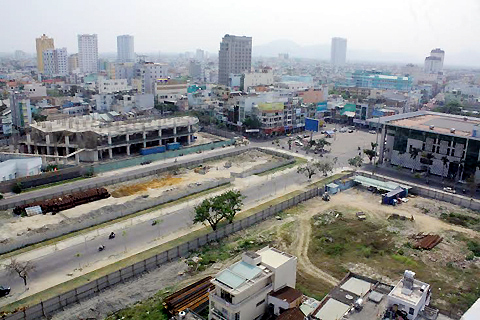 The HCMC government has withdrawn the licenses and ‘in principal’ approvals of 536 long-delayed real estate projects occupying a combined area of more than 5,390 hectares since Resolution No.16/2012/NQ of the HCMC People’s Council took effect two years ago.